Bet Lockheed and the rest were celebrating that one. That’s what they want us to think. Falcon Heavy launch set no earlier than January 25th. Static fire test of engines later today. As someone who works with a kiwi, there’s something very funny about hearing the countdown in his accent. Launch imminent. Let’s hope it succeeds. Musk seems to think the odds are 50/50. The two rockets landing together was a truly spectacular sight. Another view of the returning boosters. Cool delayed bang from landing burn ignition. Who could watch those two boosters landing together and not think we have made a huge leap forward into the future. Awsome just Awsome. I almost shed a tear. The core came in hot because two of the three engines failed to reignite. It happened because they had run out of ignition fluid. Easily remedied. 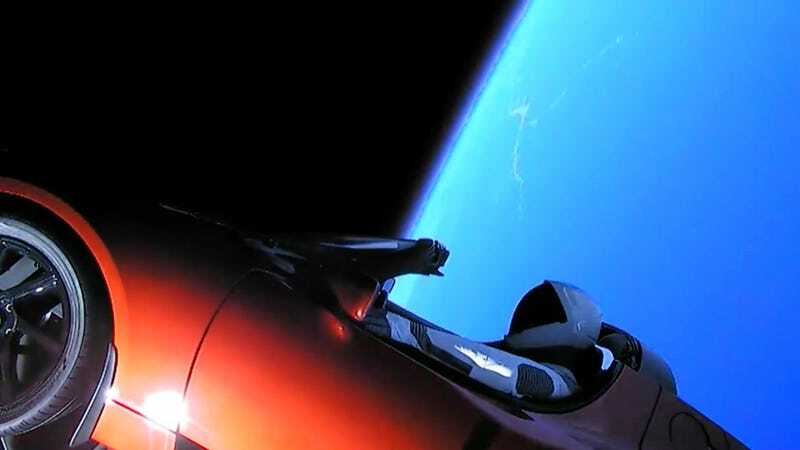 I love the utter futility of sending a car into orbit around the sun but I feel even that is topped by the fact that the car turns out to be a convertible and so the little speaker on board will be banging out “Space Oddity” for years and years and years Without. Making. A. Sound. It was truly amazing. Who could watch those two boosters landing together and not think we have made a huge leap forward into the future. Some more Falcon Heavy launch reporting, with some interesting commentary from Musk. I also thought it gave a good sense of being at a launch, including being able to feel the sound, which I distinctly remember from an STS launch. Everything about today’s SpaceX Falcon Heavy launch should have been groundbreaking: The world’s most powerful rocket — one with the ability to lift almost 141,000 pounds into orbit — achieved liftoff! Elon Musks’s personal Tesla is now chilling in space! We may all be living on Mars in the not so far-off future! But those watching the live stream of the history-making moment that took place at Florida’s Kennedy Space Center were quick to take to Twitter with one glaring observation: Shots of the room where employees and onlookers gathered to whoop and holler as they watched the culmination of their hard work showed barely any women. Looking for one in the seemingly all-male crowd was like playing an intensely frustrating game of Where’s Waldo. Although one woman, flight reliability engineer Lauren Lyons, joined male employees to speak during the live cast,** the photos showed little gender diversity in the moment of celebration. ** For women working in tech, it was a disappointing omission, and another reminder of the industry’s gender gap. 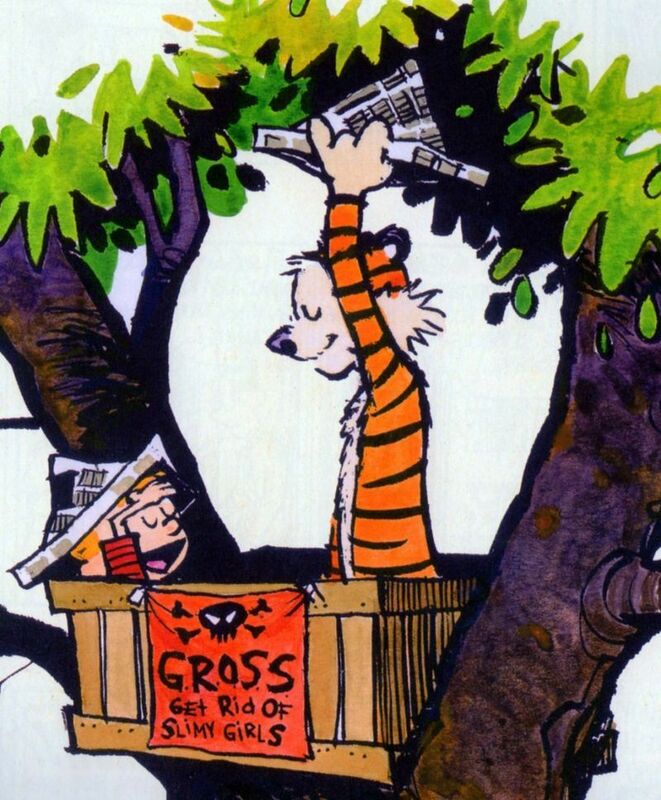 I cite the following early conceptual artwork for his first Mars Colony by Elon Musk (excerpts from his memoirs). Here we see a depiction of a young Elon Musk in his Mars living pod with his trusty cybernetic Tiger droid assistant.